If you are the owner of any kind of business, you know, that sometimes your work can get mentally exhausting. 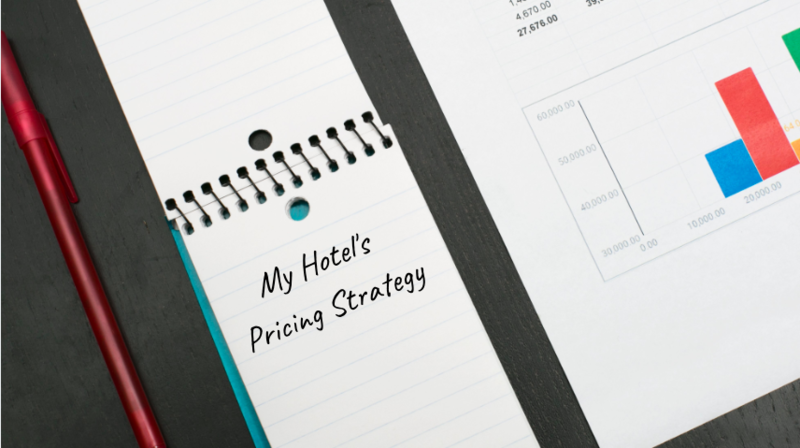 Specifics of hotel management forcing you constantly think not only about growth and revenue. You also have to focus on people that working for you (with you). Think about their daily work routine and satisfaction. You also need to foresee how to grow together as a team. That's what leads to the hotel management specifics. The hospitality business is one of those, where each employee has a crucial role and their end result will be visible and evaluated. Starting with the managers and their managerial decisions, ending with housekeepers who have to ensure that guest will find clean rooms. It is easy and comfortable to work in a way, which you know the best. And you know the best what you are doing for a long time. However time is running, things are changing and work routine should change as well. Hospitality business must be always up to date because of involving guest needs and habits. If before the phone call was the only way to make a reservation, now people can make a reservation at any time and any place. You have to be ready for such guests. You get complaints from guests that your website is not working properly… Feel free to add some reasons to the list. If you noticing more than one issue from this list, it means that time of changes has come. Depending on the problems that you're facing, You must take actions quickly. If you let the problem to root, later on, will be hard to apply those changes. So what hotel management decisions you can make based on the problem? The issue is related with the administration (people working too much, you are using multiple systems instead of one, there is lack of communication amongst colleagues and etc.) Solution - start looking for property management software. Nowadays you can find all-in-one solutions quite easily. From all available hotel management systems, you will be able to find the one, which meets your needs the most. The issue related to lack of time. We all know that sometimes check-in and check-out times at the reception desk can get chaotic. Change the way how you used to work. It might be comfortable to keep going down the same path for years, but you clearly must notice that some things are not working out any longer. Solution - make sure you have check-in (registrations) cards ready for the arriving guests. Print them in advance and have them at the desk. If guests are about to check out, make sure that all is paid so departure procedure can go quickly. If you charge your guest at the check-out - be aware of that day’s departures and also prepare consumption information sheet in advance. After guest reviews it, you can generate the invoice and hand it to the guest in no time. For all this, you will need to have a property management system that provides these features. Yes, it will be an investment for which you need to pay, but at the end, you will be more organised. Which means you will have more times for guests. And this will make them very happy and want to come back again. The issue related to outdated and not a user-friendly website. Solution - invest a little bit more time and money to review your website. Hire professionals who can help you to see the website in a new light. If you trust your own knowledge in website creation, read some tips and tricks, how to adjust the website and transform it into the online sales channel. It might cost you not only time but also a significant amount of money. Consider this an investment which will bring you back the money in the form of direct reservations. The issue related to a few direct bookings. Solution - closely related to the website and its usability. I have already mentioned, that website should become online sales channel. Which means that guests should not only find information about your hotel in there but also people should be able to reserve a room right away while still visiting your website. You can use requests forms. Those are slowly getting outdated, but still better than having no option of booking. With the request form guest still is not sure if their selected room is available, so they might to go and look at some other page, where results are given right away. Besides requests forms, you can have booking engines. Those can be standalone engines, or they can be integrated with your PMS system! Now that is a real deal! You can have your actual availabilities displayed on the website and as soon as the reservation is made, you receive all the details of your property management system. This decision also will cost extra money, but at the end of the day, you will get more direct bookings, which means commission free bookings. There must be more problems that hospitality providers meet every day. Problems are changing as times and people are changing as well. Needs and habits of guests are adjusting to new routines and new technologies. People at the hospitality business have to be flexible and willing to adjust. Hotel management 10-5 years ago was so different. It was enough to have a notebook and sort-of website to satisfy the guest. Now you have to think one step ahead and surprise the guest by providing extra convenient services. I don’t mean only services that can be purchased during the stay, I mean services that start already on your website. Surprise them with user-friendly booking engine. Provide a possibility of online check-in procedure. Surprise them with nice messages before the arrival. Give them a chance to pay online… Those are all little touches that will create the whole picture of your business and will increase the value for the guest. The decision which you have to make is important because you have to decide which way to go. Which system to choose. How much you are willing to pay for it… But one thing is clear for sure - in order to be a modern host, you have to have a property management system, and this is a decision that you must make today. Just make the right decision and go with the solution that has it all!